Fifteen months ago, an American articulated tug and barge ran aground near Bella Bella, British Columbia, in Heiltsuk Nation territorial waters. The downed tug Nathan E. Stewart leaked 100,000 liters of diesel and 2,000 liters of industrial lubricants into a delicate coastal ecosystem and culturally significant harvesting ground. It could have been much worse had the barge not been mostly empty. Nevertheless, the Heiltsuk are still dealing with the aftermath of the spill, says Chief Marilyn Slett. For two winters running, the Heiltsuk have lost their clam harvests, an important commercial and food fishery that had employed 50 people. 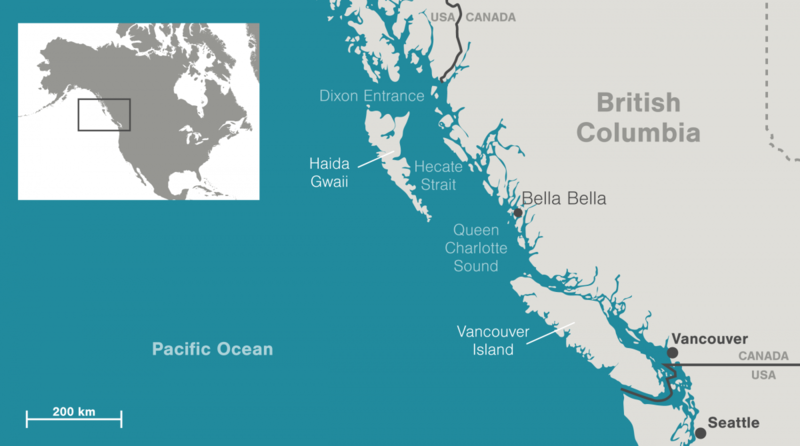 A new law proposed by Canada’s federal government aims to reduce the risk of future spills in British Columbia’s vulnerable Inside Passage, a sailing route that passes between the mainland and the province’s many islands. This new Oil Tanker Moratorium Act is due for a third reading by Parliament at the end of January and possible passage by spring. And while activists and many First Nations have voiced support, they take issue with some exceptions written into the bill. Those flaws, he says, create significant loopholes that allow many barges to continue on their routes. “As far as we can tell, [the bill] has been explicitly designed so as not to affect any existing traffic in the north and central coast that’s carrying oil products,” says Smith. Of most concern to the organization, the bill allows the federal transport minister to exempt any oil shipment from the moratorium. West Coast Environmental Law fought this in committee and won the small concession that such a decision must be made public. In an email response, a Transport Canada representative explained that the exemption provision is meant to be used in emergency circumstances when a shipment is deemed essential for community or industry resupply or in the public interest. There are also permanent exemptions to the moratorium, which include fuel shipments under a certain size, or carrying a certain type of oil product, or aboard vessels that do not stop in Canadian ports. As many as 20 communities and industrial operations, including logging, fish farming, tourism, and an aluminum smelter, are not accessible by road or rail and receive fuel delivered by boat. The government did not want the new law to jeopardize these shipments. Yet the amount of fuel shipped to local entities is relatively low. A Transport Canada study published in September found that the fuel barges that supply these communities typically have a cargo capacity between 1,600 and 3,200 metric tonnes. American barges that supply Alaska from the continental United States typically carry 6,400 to 8,000 tonnes. Another significant weakening of the moratorium is a blanket allowance on foreign fuel ships, which, in these waters, are most often American. Although many American fuel ships currently transiting the Inside Passage are below the 12,500-tonne threshold, the new tanker ban will actually allow American tankers of any size to pass through—so long as they bypass Canadian ports. A third major loophole, says Smith, is that the moratorium will only apply to specific kinds of fuel. There is no quantity limit on shipments of “non-persistent” products such as gasoline, naphtha, jet fuel, diesel, propane, liquefied natural gas, or kerosene. Tankers would be free to carry more than 12,500 tonnes of these products through the Inside Passage. Such traffic could see a significant uptick if the proposed Kitimat Clean refinery project or the Pacific Future Energy refinery are approved. These facilities would refine bitumen from Alberta into products like gasoline, jet fuel, and propane, and export them on large crude carrier tankers through the channel, according to their applications. Transport Canada defended the exemption, writing: “Lighter petroleum products … tend to dissipate more rapidly through evaporation” than crude oil and persistent oil products. Smith says it’s clear that the federal government included this loophole to allow these refinery proposals to move forward, and spills of more refined oil products are still harmful to coastal economies and cultures. Exhibit A is the Nathan E. Stewart. The small American ship was carrying diesel, a lighter petroleum product. It was also well under the 12,500-tonne limit. Even with the oil tanker moratorium in place, the Nathan E. Stewart would have been allowed through. For the Heiltsuk, this is a worrying thought, and they’d like to fine-tune the moratorium—though they nevertheless support its passage as is, Slett says. But going forward, she wants her nation to be able to set limitations on some tankers. “We have areas that we would consider to be no-go zones for tankers—specific geographical areas that are very sensitive to our communities,” she says. Traveling the Inside Passage is risky due to challenging weather conditions, fast currents, and tight channels. Those hazards nearly caused another accident in Heiltsuk waters last November, when an American barge loaded with 3.5 million liters of diesel broke free from its tug, the Jake Shearer. The vessel narrowly missed running aground—two crew members boarded the barge and dropped anchor. Human error can also increase risk. In the Nathan E. Stewart accident, a US report found that to be the cause: a key crew member fell asleep, a safety alarm was disabled, safety equipment was missing. In fall 2016, when Prime Minister Justin Trudeau announced the Oceans Protection Plan strategy, which includes the oil tanker moratorium, the Heiltsuk community was optimistic, says Slett, but it’s been slow getting off the ground. 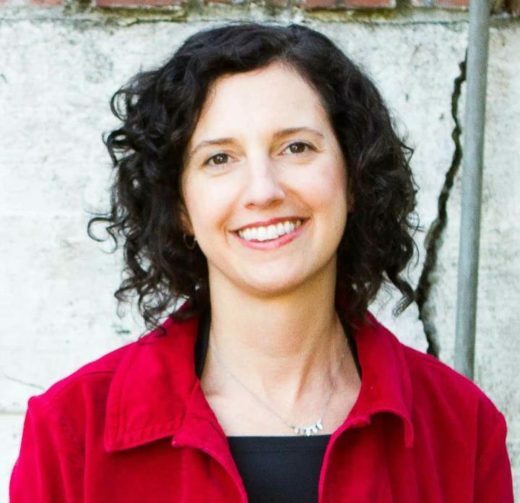 Cite this Article: Erica Gies “Oil Tanker Moratorium Act Not a Moratorium on All Oil Tankers,” Hakai Magazine, Jan 25, 2018, accessed April 23rd, 2019, https://www.hakaimagazine.com/news/oil-tanker-moratorium-act-not-a-moratorium-on-all-oil-tankers/.